Cockeyed Caravan: How to Create a Compelling Character, Step 11: Establish Their Deadline. How to Create a Compelling Character, Step 11: Establish Their Deadline. Throughout this project, I’ve cited Star Wars over and over as the ultimate example of how to do everything right. But even there, after the movie was shot and edited, they found that people just didn’t care enough about the ending. You see, in the first cut, our heroes stole the specs of the Death Star, took them back to the rebel alliance, realized that the station had a fatal flaw, and then flew back to launch a surprise ambush against it. That’s good, right? Heroes should be proactive, right? Nope. It turns out that audiences don’t want their heroes to be too proactive. As G. W. Bush learned to his dismay, it’s inherently unsympathetic to fight a battle “at a time of our choosing.” It’s far more sympathetic if your heroes’ backs are up against the wall. George Lucas belatedly realized that, as brilliantly as he had executed Steps 1-10, he had lost his audience by forgetting Step 11: Set a Deadline. But then Lucas had a flash of genius: He could, without calling the whole cast back, simply shoot a few additional minutes of footage (and change the read-outs on the rebel computer screens), to add a deadline retroactively. What if, instead of the Millennium Falcon getting away in a lucky break, the empire let them get away, and discovered the rebel base by tracking them? What if the Death Star was ambushing them, and the rebels had one last chance to stop them before their moon was blown up? Problem solved. But deadlines are tricky. Some stories simply don’t lend themselves to deadlines, and you can feel the conniptions that the writers subject themselves to artificially impose one. You could always feel this tension on the TV show “Without a Trace”. The squad kept announcing, “If a missing person isn’t found in the first forty-eight hours, they aren’t ever likely to be found!” So they always rushed to meet this arbitrary 48-hour deadline. But if they fail to meet it, what happens? Well, they either keep searching or they all get bored and move on. The deadline was entirely artificial. 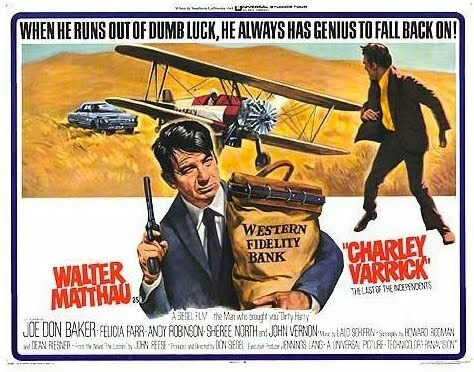 Near the beginning of Charley Varrick, the mob realizes that Charley is trying to get away and one of them dramatically announces, “He’ll never make it out of Arizona alive!” We subconsciously note that “getting out of Arizona alive“ has now become the official measure of success, even if Charley keeps running for years after that. Likewise, near the beginning of Never Cry Wolf, we see one of the grizzled Yukon mountain men give Tyler the once-over and declare, there’s no way he’ll survive for a whole winter!” Once again, we instantly accept that as the benchmark of success. 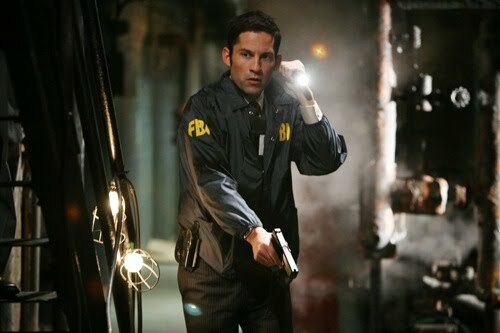 McKee (him again!) points out that you can set up your intro in such a way that you are clearly withholding a certain image. Two people who are looking for each other but haven’t laid eyes on each other yet, or someone who swears, “I will return!” He calls this the “obligatory scene”. If the audience sense that you intentionally withholding something that they want to see, then they will know that that scenes is coming and will mark the end of the movie. This is a form of abstract deadline that can give shape to a story that might otherwise have none. The hero of Paris, Texas is aimless, but we know that he must eventually confront his ex-wife. Our anticipation of that obligatory scene keeps us hooked. This can also to establish a secondary deadline, outside of the hero’s knowledge. 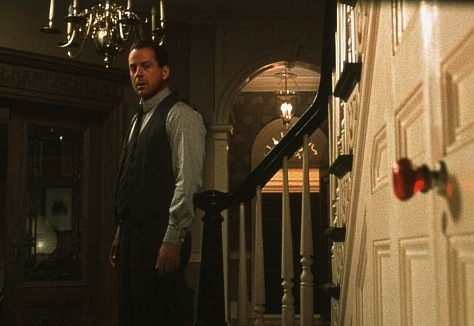 Dr. Crowe in The Sixth Sense seems to have solved all of his problems, but the cinematographic foreshadowing tells us otherwise: we know that the movie cannot end until he deals with the mysterious red doorknob. The more ways you can find to get your audience to anticipate the ending, the easier it will be to compel them forward through the story. So, congratulations! You've given birth to a healthy compelling character! Now go and sin no more! Thank you SO much for this incredible series of posts; talk about "showing." I salute you!